New Park City Witness: How Do We Tell the Whole Truth? In Park City, the task is clear: Stop climate change, or the snow stops. Snowpack is the region’s freshwater supply and water is life. So, stop climate change or the community will lose life. This is not news to most Parkites. And, thankfully, many Parkites have taken, at least, some kind of action. 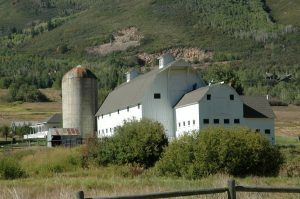 Park City Municipal Corporation hopes to achieve carbon neutrality, for the whole community, by 2032. An electric bike program was recently introduced, and electric city busses now run routes through town, in an effort to reduce carbon emissions. In a truly amazing display of community generosity, $38 million was raised to protect Bonanza Flat from development. Meanwhile, there are a growing number of us in Park City, and across the country, who have lost faith in the traditional tactics employed by the environmental movement for creating change. We voted. Many of us helped Barack Obama gain the presidency only to see American natural gas production increase by 34% and crude oil production increase by 88% since George W. Bush’s final year in office. Our votes couldn’t stop Donald Trump from gaining the presidency and everyday brings more news of his insanity. The EPA is gutted. The United States pulled out of the Paris Climate Accord. And, climate change deniers occupy many of the federal government’s most powerful positions. We reduced, reused, and recycled. Then, we learned that the general consensus amongst climate scientists is that developed nations must reduce greenhouse gas emissions 80% below 1990 levels by 2050 to avoid runaway climate change. While it was still funded, the EPA reported that small businesses and homes accounted for 12% of total US greenhouse gas emissions while personal vehicles accounted for less than 26% of total US emissions. Based on these numbers, we realized that even if every small business and home in America reduced its emissions to zero and each American drove cars that emitted no greenhouse gas, the United States wouldn’t even come close to that 80% goal. We participated in traditional conservation efforts. We helped to save Bonanza Flats from the bulldozers and chainsaws. But, we have not yet saved Bonanza Flats from the droughts, the wildfires, the fungus-killing aspens, and the pine beetles all made worse by climate change. We are ready for escalation. We are ready for direct action. 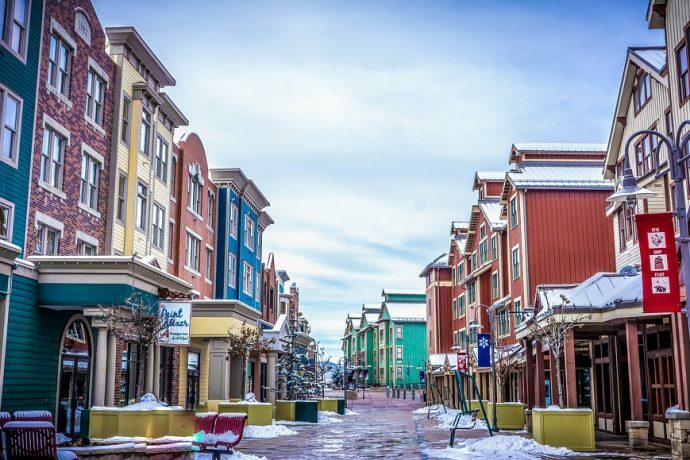 Beneath the positivity, the small victories, and the feel-good atmosphere characterizing life in a mountain town like Park City, a desperation quietly grows. Climate change worsens, mass extinction intensifies, and natural communities collapse. Parents and grandparents fear for the futures of their children and grandchildren. Older generations approach the end of their lives worrying that they failed the younger generations. Younger generations wonder if they truly are disempowered, or if disempowerment is an illusion ensured by the apathy they’ve been labelled with. For the most part, the desperation remains unacknowledged, unnamed, and repressed. Removed from the violence producing our material comforts and granting us the ability to live in a place like Park City, many never feel the desperation. Those who do doubt the authenticity of their intuition and wonder if the desperation is a sign of mental illness, proof that something is wrong with them, or a character flaw. When the desperation is expressed, those who point it out are called alarmists, conspiracy theorists, and sensationalists. When the reality described is too obvious to ignore, those who describe it are accused of causing paralysis and depression. It’s been five years since Summit Land Conservancy published its celebration of open space in Park City Witness. In that time, the list of the indicators of ecological collapse has only grown longer. Witnesses, testifying in court, take an oath to tell the truth, the whole truth and nothing but the truth. There are angels on the trails, the mountains, and in the creeks. But, there are demons, too. If we only bear witness to beauty, to optimism, and to celebration, we are liars. Telling the whole truth demands that we confront the demons, no matter how horrifying they are. I have devoted my writing career to two principles: The land speaks. And, I have a responsibility to communicate what the land says as best I can. I hear the land speak of beauty. I also hear the land speak of horror. In Park City, while most writers and most artists focus on stories of beauty, who will confront the stories of horror? We need new Park City witnesses. I cannot ask anyone to do what I myself am not willing to do. So, I commit, publicly, to being a new Park City witness. One who lives as honestly as possible with two realities. There is beauty and there is horror. The horror will consume the beauty if it is not confronted, described, and resisted. To give my commitment substance, I have acquired a reliable vehicle, spent weeks researching, cleared my schedule, and formed a plan to visit places in Park City and across Utah where horror threatens to overwhelm beauty. These are places like the planned site for the Treasure Hill development, the Uintah Basin, oil refineries in North Salt Lake, the White Mesa uranium mill, and the coal mines in Price. My experiences will form a place-based series. Each essay will grow organically from the natural community it is written from. I welcome community discussion, comments, and feedback. The Deep Green Resistance News Service has graciously agreed to publish the writing this journey produces and you can follow along here. Please feel free to contact me. My purpose is simple: In each place, I will search for beauty and I will search for horror. Then I will ask of that place, “What do you need?” I will listen for as long as I need to, knowing that the land rarely speaks in English and rarely observes a time recognizable by common human patience. After this, I will write. I will write as honestly as possible. I hope to give a voice to those who feel the desperation. I hope to comfort those who feel crazy for the intensity of their concern. I hope to demonstrate that their concern is justified. I hope to catalyze the courage we so desperately need to resist effectively. I hope to be a new Park City witness.